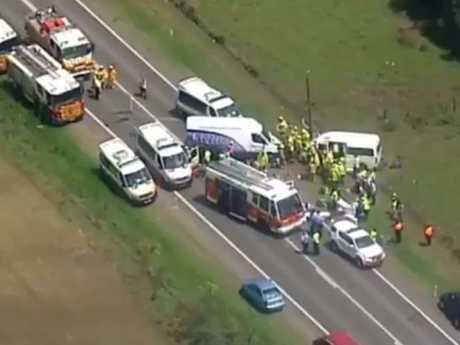 A TODDLER received fatal injuries and another child was critical last night after a horror head-on collision in Sydney's west that stunned paramedics yesterday. 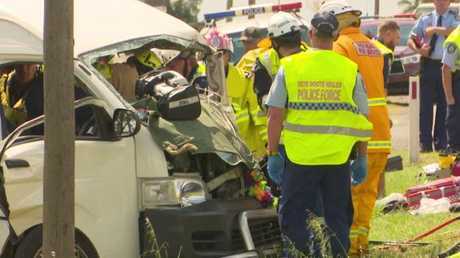 Nine patients were rushed to hospitals at Westmead and Liverpool after a minibus carrying nine people collided with a van carrying two others on Mamre Rd, Kemps Creek. A swarm of 14 paramedic crews, two helicopters and three ambulance chaplains rushed to the accident scene just after 1.30pm. A two-year-old girl died in hospital and a nine-month-old baby was critical after being taken to The Children's Hospital at Westmead along with a badly injured three-year-old boy. Teenage and adult patients stumbled out of the minibus. Some were loaded into ambulances, others collapsed to the ground in tears. 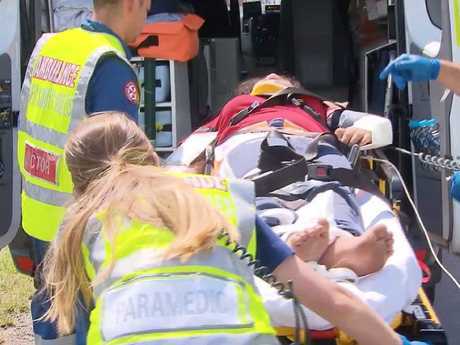 Terrified children clung to ambulance staff as they were loaded into ­ambulances. 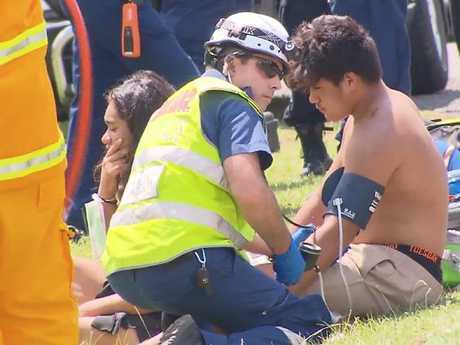 Three adults and two teenage patients were taken to Liverpool Hospital and one adult was sent to Westmead Hospital. 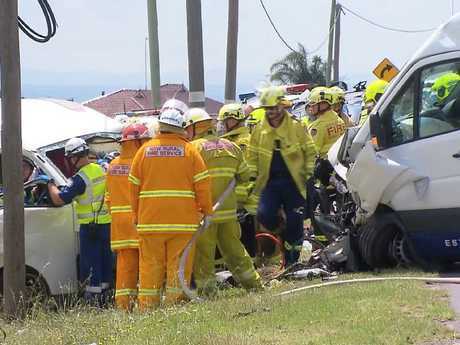 Fire crews and paramedics (inset) had to work for more than an hour to lift the minibus driver, who weighed 150kg, from the wreckage and free his front-seat female ­passenger. 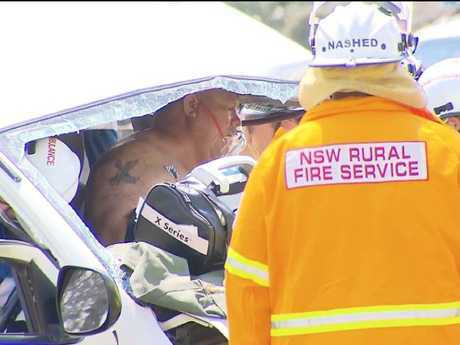 NSW Ambulance Superintendent Paul Edwards said three ambulance chaplains were last night debriefing staff and families in what should be a chilling warning to motorists ahead of Christmas. "The scene was very distressing with three children involved - two of them with serious injuries," Supt Edwards said. "Our chaplains are continuing to debrief with staff and family." 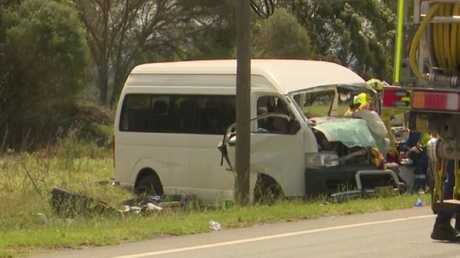 The collision sent the minibus flying off the road into an embankment, while the van remained sideways across both lanes with its front badly damaged.